Zoloft is an SSRI (selective serotonin reuptake inhibitor) antidepressant marketed by Pfizer, Inc. Hundreds of Zoloft lawsuits have been filed against the company over the medication’s alleged association with birth defects. Pfizer brought Zoloft to market in 1991, and it soon became one of the most widely used antidepressants in the U.S. The company marketed the medication as a safer alternative to its competitors, including Prozac. By 2005, Zoloft was the sixth-most prescribed name-brand drug in the U.S., with more than 30 million prescriptions written that year. That same year, Pfizer grossed $2.6 billion from Zoloft sales. Zoloft affects the levels of serotonin in the brain. This neurotransmitter is thought to play a role in mood. The Zoloft label includes a Black Box Warning regarding suicidality in children, adolescents and young adults. The Black Box – the most serious safety warning possible – was first included on the Zoloft label in 2004, and warned that children and adolescents may experience suicidal thoughts and behavior while taking this and other SSRI antidepressants. The warning was expanded to include young adults (ages 18 to 24) in 2007. The U.S. Food & Drug Administration (FDA) has placed Zoloft in Pregnancy Category C, which indicates that animal studies have suggested that it may harm a developing fetus. However, its effects on a human pregnancy have not been well studied. 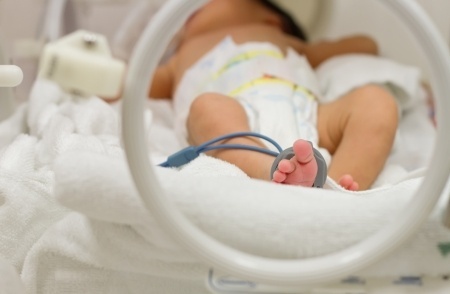 In 2006, a study prompted the FDA to warn that SSRI antidepressants like Zoloft might cause a serious birth defect called persistent pulmonary hypertension of the newborn (PPHN) when used by pregnant women. However, after other studies produced conflicting findings, the agency issued a new alert stating that it was unclear whether or not the antidepressants played a role in the condition. Research published in 2016 also found that children exposed to SSRIs during the last two trimesters of pregnancy were 117% more likely to be diagnosed with autism spectrum disorder. Pfizer has been named in hundreds of Zoloft birth defect lawsuits, the majority of which are centralized in a multidistrict litigation underway in the U.S. District Court, Eastern District of Pennsylvania.